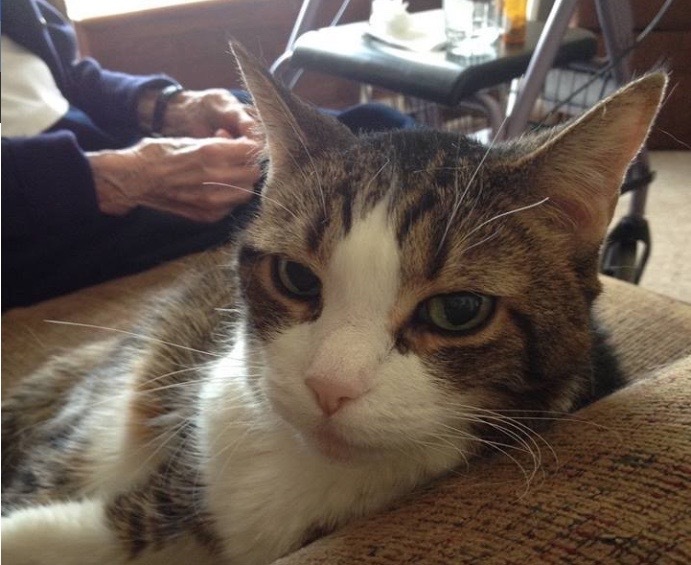 About 13 years ago, an elderly couple (who were also grandparents) decided to adopt a cat. The local animal shelter paid them a visit with a choice of three kitties, two of which were kittens. The third was a two year old tabby named Gabby. She immediately made herself at home by climbing the stairs and making herself comfortable on the bed. It looked like Gabby had chosen them. 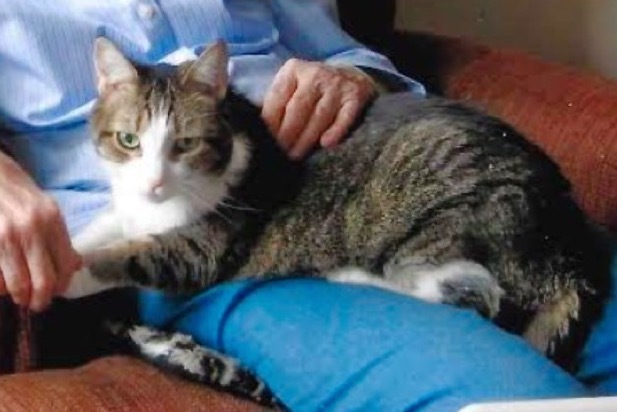 Unfortunately, shortly after Gabby came into their lives the husband died and Grandma and Gabby moved into an apartment complex for seniors, where help was nearby if they needed it, and the two became especially close. From the time they got out of bed in the morning, to the time that they went to sleep, with Gabby circling Grandma’s pillow, the pair were inseparable. Grandma would read every day with Gabby snuggled up next to her, and they quietly enjoy each other’s company. The years moved on and they both started to slow down at about the same time. Gabby began to separate herself from Grandma, who was loosing weight due to lack of appetite. It seemed that both of them were not long for this world. Grandma took her to the vet and together they decided the best thing to do would be to put her to sleep. Grandma held Gabby and comforted her as she closed her eyes for the last time. She had lost her best friend, her soul mate. After Gabby was gone, Grandma went home and took a nap on the couch. She never woke up. 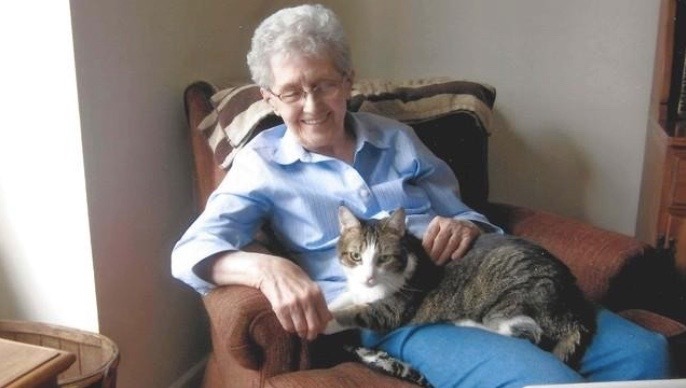 She had died four hours after her beloved cat. Here is the final photo of Gabby, taken on Grandma and Gabby’s last day.